It’s serene. It’s picturesque with lush green mountainous terrain all along. And it has got everything to draw tourists. Nevertheless tourism has never been its cup of tea. Now Temi Tea in southern Sikkim, the only tea garden in the state established in 1969 and still owned by the state government, has taken one single initiative that promises to create, nurture and boost two brands. Temi Tea Garden has teamed up with Priya Entertainments, which owns Eco-Adventure Resort brand, to upgrade and convert the former’s historic The Burra Bungalow into a modern, upscale eco resort through a PPP model. 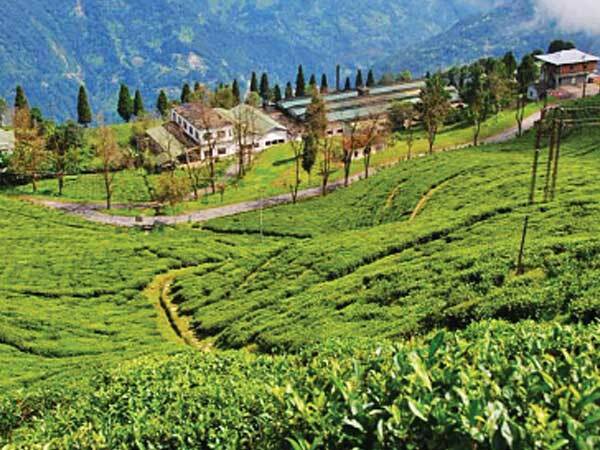 “The eco-tourism project on the sprawling 376 hectare land, will not only help us unlock the value of the otherwise abandoned, dilapidated property, which got damaged following the massive earth quake of 2011, but will also give a major boost to ‘Temi Tea’ brand of tea, because the tea tourism project is expected to draw large number of tourists from all over the world,” said Mrinalini Shrivastava, the managing director of the tea estate, who otherwise belongs to the Indian Police Service. The tea produced by the Temi Tea estate are packaged (0.250 kilograms (0.55 lb) packages under many brand names. The brand name “Temi Tea” is of the best quality consisting of pure tea ‘golden flowery orange pekoe (TGOFP1)’. The next in quality is the popular brand of ‘Sikkim Solja’ followed by ‘Mystique’ and ‘Kanchanjunga Tea’. It is also sold in the form of ‘Orthodox dust tea’. The Tea Garden Employees Consumers' Co-operative Society Ltd markets these products at a kiosk in the vicinity of the Temi Tea factory. Nearly 75 per cent of the tea produced in this estate is auctioned in Kolkata and the balance 25 per cent is marketed as packaged tea in the domestic market. “Quite significantly, the first two tea bushes were planted by the king of the erstwhile princely state himself. They still stand in front of the heritage bungalow. We call them King and Queen. That way there is an interesting history attached to it, which in turn will draw tourists," said Shrivastava. If Temi Tea authorities and Sikkim government are up to give a major fillip to Temi Tea brand, while creating value out of its unutilised property, Arijit Dutta, managing director, Priya Entertainments, which already runs an eco adventure resort at Khairabera in Purulia and another property at Shantiniketan, is not willing to fall far behind either. Besides, converting The Burra Bungalow into a one of its kind tourism hot property with casino, mountain biking, paragliding, ziplines and so on, he has lined up plans to create and promote another brand-‘Tea by Me’ out of this project. “The whole idea is to let tourists pluck the two leaves and a bud themselves at a corner of the plantation, which will be kept as part of the resort. Then their collection will be packed in sachets and branded as ‘Tea by Me’ as gift items to take back. If this experiment works out well then we can think of spinning it off as a separate revenue model as well,” said Dutta. “The bungalow, boasting a view of Mt Kanchenjungha, stands on mortars of mud and cut rocks, and therefore was easily affected by the earthquake. We will restore the building by retaining the same structure and design but by flushing out the mud and replacing it with reinforced concrete. It is a time-consuming process but we hope to finish work in 12-14 months. Work has started from March. While there are four rooms in the bungalow, five cottages and three tents will be erected on the premises. We will allow a maximum footfall of 24 at a time, so that it remains a niche and an exclusive property," added Dutta. Rahul Banerjee, project advisor said that the Sikkim government is taking a community-based approach to tourism and Priya Entertainments may eventually become the common channel for the local home-stays. The idea of the state government is to shift tourists’ focus from Nathu La in the east alone to other areas. That will be good for ecosystem. Interestingly, last year, Sikkim received six lakh tourists – almost as much as its population, and nearly 50000 of them were foreign tourists, pointed out Shrivastava.